The Atlanta Falcons and New England Patriots are just about ready to face off in Super Bowl LI on Sunday, a game that contains too many interesting storylines to keep track of. We'll see the NFL's highest-scoring offense in Atlanta take the field against its stingiest defense. Matt Ryan, who's widely expected to be named Most Valuable Player on Saturday, will face off against perhaps the best quarterback of all time in Tom Brady (who'd probably win MVP if he hadn't been suspended for four games at the beginning of the season). Those two captain the most versatile attacks in the league -- a record 13 Falcons caught touchdown passes in 2016, while the Patriots are famous for coaching up virtual unknowns such as James White and Chris Hogan into invaluable contributors. It's a mouthwatering matchup set up to be a classic, given the stakes of Brady aiming to sew up his GOAT status against an ultimate underdog of a franchise that's never won a championship. When the final whistle blows, will this Super Bowl go down as one of the best in NFL history? Let's take a look at the most exciting games to ever decide the winners of the coveted Lombardi Trophy. In these rankings, late-game drama will be emphasized above all else. The last time Houston hosted Super Bowl proceedings, the Patriots won their second Super Bowl in three years after surviving a thrilling quarterback battle between Tom Brady (32-for-48, 354 yards, 3 TDs, 1 INT) and Jake Delhomme (16-for-33, 323 yards, 3 TDs). Adam Vinatieri essentially sealed his title as the sport's most clutch kicker of all time by converting a 41-yard try with four seconds left. His counterpart, John Kasay, greatly aided New England's cause by sailing Carolina's final kickoff out of bounds, setting up the Patriots with fantastic field position for their go-ahead possession. Remember the Jermaine Kearse catch that preceded Malcolm Butler's interception? How about the Patriots putting up 14 points in the final quarter to set up Seattle's fateful faux pas? And Chris Matthews (four receptions, 109 yards, one touchdown) coming out of nowhere to lead the Seahawks in receiving? Matthews' dominance led to Belichick benching cornerback Kyle Arrington -- and inserting Butler in his place. 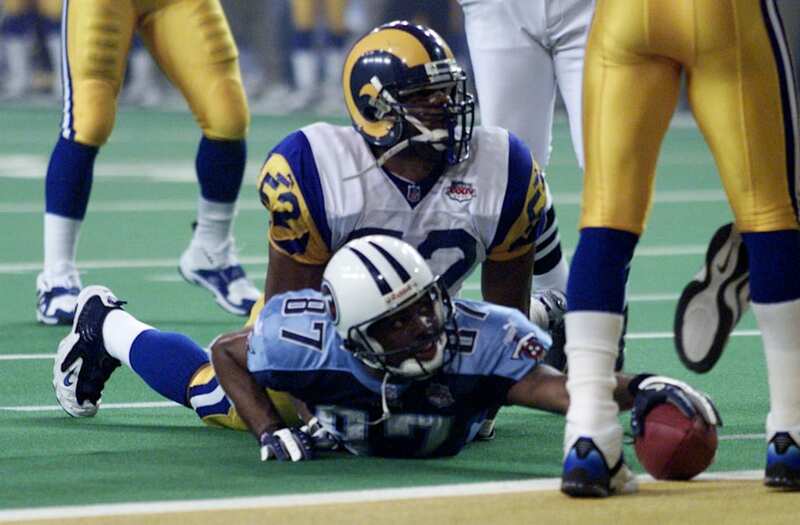 This battle between the NFL's top two teams was about as good as it gets, but there's one that tops it due to its massive historical significance.